1. Military Hunks. 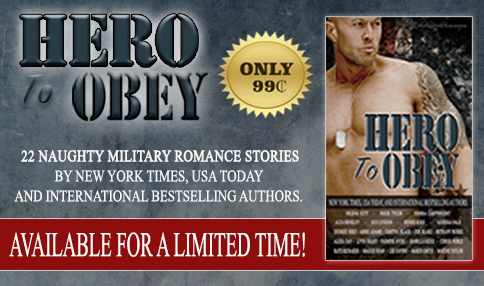 We’ve got every kind of hot dominant military hero–Navy SEALS, Special Ops Marines, Army Soldiers, you name it. There’s even a couple historical military heroes! 9. Variety. We can guarantee that there will be at least three stories tailor made to suit a particular taste in this set – regardless of whether you want sweet; or dark or whatever. So: something for everyone. 10. It’s a Smoking Deal. Seriously. It’s 99 cents, which is a great deal even for one short story. So don’t be stingy–snap it up!